With the Legion pre-patch dropping tomorrow, there’s something you should know: Your garrison becomes worthless. 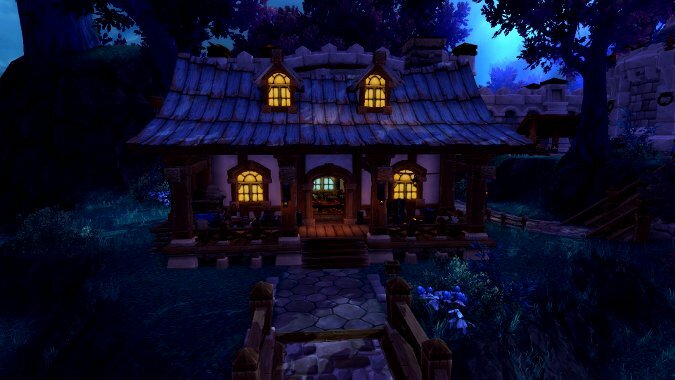 No, no, that’s not quite true — but many sources of gold tied to the garrison are going away. The first change, of course, is related to garrison missions themselves. Missions will no long reward gold for completion. If you’ve spent this expansion with an Inn and a legion of Treasure Hunting followers, they can’t help you anymore. There’s nothing you can do about that. However, if you act today, you can cash out before other changes go into effect. If your primary pursuit with your garrison is gold, your Garrison Resources will effectively lose all value in tomorrow’s patch. There’s a caveat here, though: Your server’s local economy will ultimately determine the value of resources post-patch, but generally speaking, the price of trade goods are hitting rock bottom across the board. If trade goods such as ore, herbs, leather, fur, and so forth still have value on your local economy, head to a garrison Trading Post and trade in as many of your resources as possible for whatever seems like the best trade. 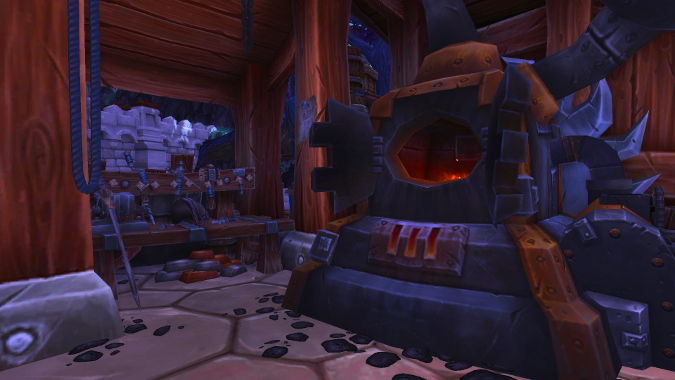 However, if trade goods are indeed worthless on your server so late in the expansion, the Trading Post currently offers a baseline value for Garrison Resources. For every 50 Garrison Resources, you can purchase a Smuggled Sack of Gold which will yield an average of 15 gold. 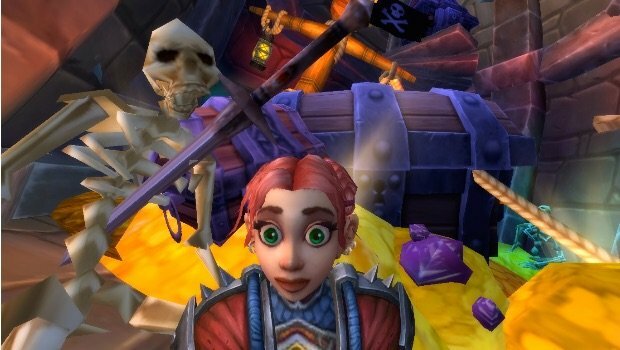 If you’re liquidating a full cache of 10,000 Garrison Resources, the Smuggled Sacks of Gold will yield a total of roughly 3,000 gold. It isn’t a lot, but it’s better than nothing, and this trade goes away with tomorrow’s patch. If trade goods do indeed still sell on your server, I recommend investigating which will yield better profits — a last minute exchange for trade goods, or a direct conversion to gold. 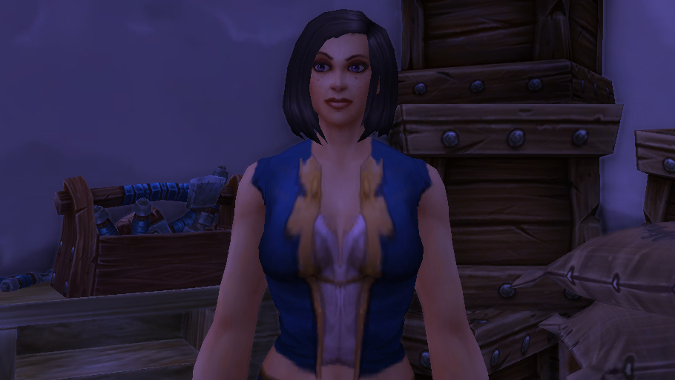 The Garrison Resource trade going away in the patch is a sure thing, but this particular trade is up in the air. It seems like a prime candidate for elimination, yet it remained in place on the PTR. Personally, I’ve leaned toward better safe than sorry, and I’ve cashed in. Primal Spirits themselves aren’t going away, and neither are the trades at the Primal Trader. 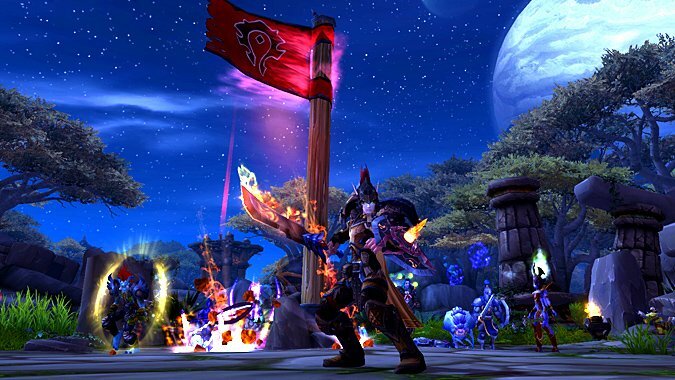 If you’re planning on continuing to craft gear from Warlords of Draenor content, you’ll want to hang on to your Spirits. However, if you want to leave Warlords behind you, we recommend converting your stockpile of Primal Spirits to Savage Bloods. Every 25 Primal Spirits will yield one Savage Blood. Take your Savage Blood over to a Trading Post, and for every Savage Blood, you can purchase a Bloody Gold Purse which yields an average of 50 gold per bag. When you break it down, this means a single Primal Spirit has a baseline value of 2 gold. Keep that baseline in mind when liquidating your Primal Spirits. It’s possible your local economy will provide a more valuable alternative, but given items such as Sorcerous Fire are barely valued above their vendor price on most servers, the patch of Primal Spirit to Savage Blood to Bloody Gold Purse will be your best bet. Plus, it doesn’t involve any auctioning at all. This trade, throughout the latter half of Warlords of Draenor, kept the auction value of Savage Bloods at a baseline of around 50 gold, because that was essentially the vendor value. If this trade goes away, the value of Savage Bloods themselves is apt to bottom out in the month leading up to Legion. If you have any Savage Bloods kicking around, now is the time to get rid of them, whether you got them from Primal Spirits or not. And if this trade doesn’t go away … stalk the auction house until the end of your days for Savage Blood priced below 50 gold, because you can make a guaranteed profit. Most people I know who’ve been stockpiling Salvage Crates are doing so with the wardrobe in mind — waiting to reap those sweet, sweet cosmetic greens. Inventory space is hard to come by until Tuesday’s patch and there’s simply nowhere to store the sheer number of items which pop out of salvage. And though all crates received after the patch will be greatly nerfed, any currently held crates will remain the same. So no reason to open them until Tuesday, right? That depends on how much you love gold and how well you can juggle inventory. Pre-patch Salvage Crates yield follower gear such as Balanced Weapon Enhancement. 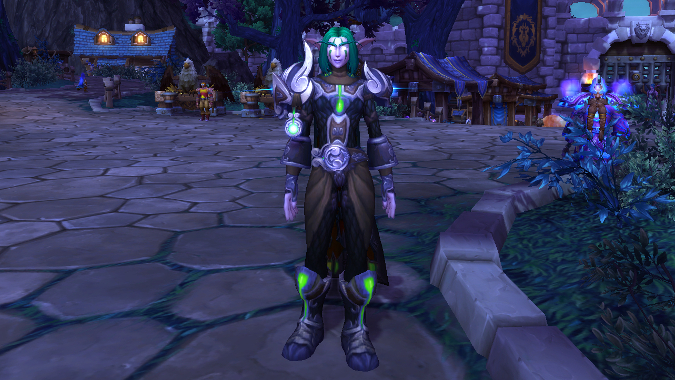 In the current game, all follower gear sells to vendors for between three and eight gold each. After the patch, follower gear will only be worth copper. If you have any way of storing the excess gear for 24 hours (such as mailing all of it to an alt), pop those crates open tonight for hundreds (or potentially thousands) of gold which won’t be there after the patch. Yes, we just mentioned follower gear, but I want to reiterate the point for people who may have been sitting on stacks upon stacks of the stuff. If you don’t want to keep your follower gear, whether they be set pieces which boost to 615/630/645 or items which add 3/6/9 ilevels, vendor it today. If you wait until tomorrow, all of those items will lose so much value you might be better off throwing them out of your bags than walking to the nearest vendor. If you have any Champion’s Honors kicking around, use them or sell them as soon as you’re able. Come Tuesday’s patch, they will be converted to a grey item worth 25 gold at vendors. Given how little time you have before the patch hits, finding a buyer on the auction house might be tough. And if you don’t PVP, you might not have any use for Honor or Conquest points. That being the case, maybe don’t use it — 25 gold is 25 gold, right? Overall, unless you have a truly monumental stockpile of some of these items, liquidating your garrison isn’t likely to make you a mint — but you’ll probably be a few thousand gold richer than you would’ve been otherwise. If you’re planning on liquidating a veritable legion of alts, give yourself more time to do it than you think you’ll need. Opening hundreds of Salvage Crates or exchanging thousands of resources for gold can be tedious and time-consuming. If you only give yourself an hour of gametime but need to go through the process on a dozen different alts, it’s just not going to work out in your favor.